It's been awhile since we've been able to send an update. We're resting at Base Camp with everyone safe and sound. The weather has been terrible. Fierce winds kept us at Camp 3, making it impossible to go higher. During a break in the weather, the Climbing Sherpa made their way up to Camp 4 placing fixed line along the route. Finally, a quiet morning allowed us to set our sights on the ridge - though ice and rock and very technical terrain made it slow going. Late in the day, the winds picked up making progress even more difficult. 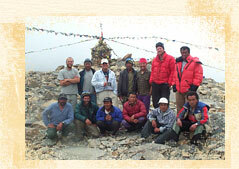 As darkness fell, the Climbing Sherpa, who had arrived the night before, helped us to reach Camp 4. We were exhausted after 14 hours of intense climbing. We rejoiced in making it to Camp 4 though weather was preventing us from any attempt to go higher. Our tents were battered by heavy winds and we rested in the thin air, waiting for a break in the weather. In the early morning of the following day, we got our opening. The winds died and we raced to get ready. We put on oxygen and began the climb, though by then the winds had already picked up again. By early afternoon, we'd reached 25,000 feet. It was on this "perch" where fierce winds and difficult route conditions forced us make a hard decision: we had to go down. Ole, Tommy and I headed Camp 3. We arrived as darkness fell and got some muchg-needed rested. 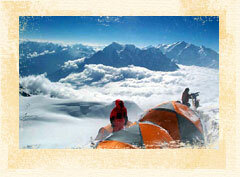 Those who stayed at high camp had a more difficult time of it, as the storm worsened. 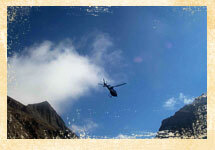 The following morning, the remaining team members returned to Camp 3. Ahead of the storm, we continued our descent to Camp 2. It felt great to get into thicker air. After the storm passed, we descended to Base - our home away from home. What a surprise! Ang Dawa and the kitchen staff were waiting with a great meal and drinks. So, what's next? For some, home, children, and work forced a difficult decision: they are leaving the mountain. For the remaining climbers, we will rest and head back up there for another try. Adam, Dave, Ole and Ben will certainly be missed. This is a huge loss for the team, however everyone is behind the decision to go. We wish them a safe journey home. 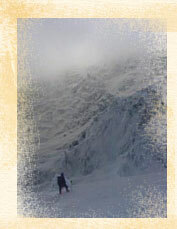 * Editor's note: Weather plays a leading role on most climbing expeditions - and it can be friend or foe. After two more attempts to reach the summit, the core team conceded the weather had "won." They would need to return at a later date to achieve their goal. Team members have all arrived safely home to the US, Greece and Argentina. We applaud their efforts and wish them well.